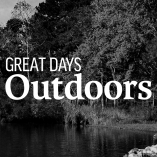 Enjoy weekend fishing forecasts and the latest outdoors news every week on the Great Days Outdoors Radio Show. Learn “What to know-where to go-what to throw” – for fishin in the Mobile/Tensaw Delta with Capt. Wayne Miller- this week on the radio show. Along with all our regional forecasts, we’ve got south Alabama outdoors covered. Interview with Don Green, the guru of the Mobile/Tensaw Delta, on the most inclusive fishing forecasts for the South Alabama region discussing bream bed fishing. Interview with Wildlife management expert Daryl Bell. Daryl writes the monthly wildlife management column for Great Days Outdoors Magazine and today we’ll be talking about wildlife management initiatives for May and management on a budget. Interview: This week, after our weekly fishing forecasts, we discussed the importance of spring food plots with Chris Grantham of Alabama Liquid Fertilizer and spoke with CCA Alabama Director, Blakeley Ellis about CCA’s mission and thier upcoming event in Orange Beach, AL. Interview with Chuck Sykes, Director of the Alabama Department of Conservation and Natural Resources, about new (and old) public hunting opportunities. Interview with Steve Barnett, Wild Turkey Project Coordinator for ADNCR on the latest information on our declining turkey numbers. Interview with outdoor television legend Babe Winkelman and we’re talking about the epidemic of tick-borne illness and what you can do to prevent, care for, and treat tick bites. Interviews with Eddie Salter and Doug Max about setting up on Spring Turkeys. What you didn’t know about snakes! An interview with Mike Casper, snake expert. Interviews with Chris Nix, Daniel Musselwhite and Matt Horton, discussing Mentored Hunting Programs for Adults. Interviews with Eddie Salter and Jay Graddock, discussing hunting tactics during the Rut. 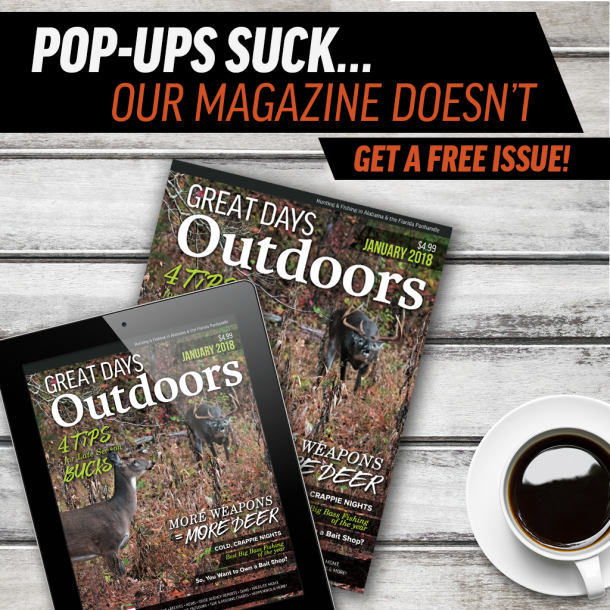 Great Days Outdoors has been informing, entertaining, educating outdoorsmen for over 20 years. We believe hunting and fishing is a natural way of life. It's not just a sport or a hobby; it's an integral part of what makes up our cultural heritage.